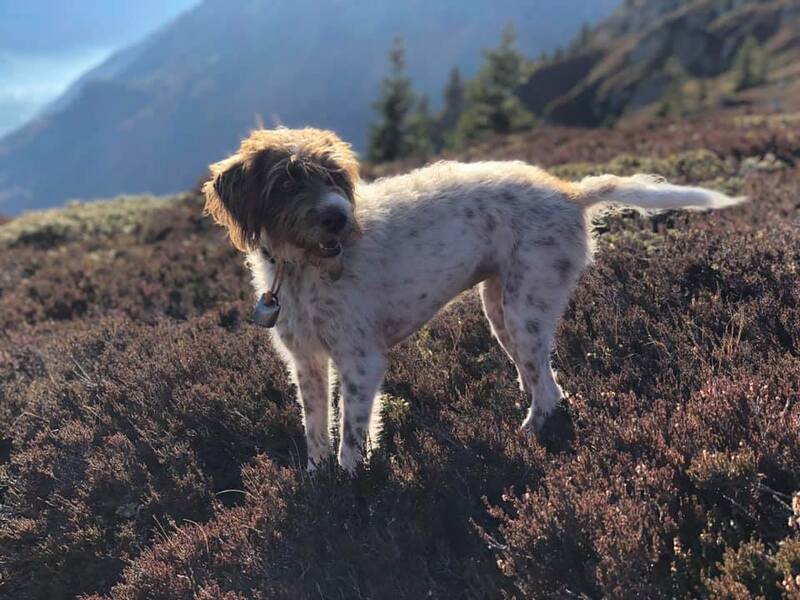 The Italian Spinoni in Italy are normally either show dogs or hunters and your dog may not have had the puppyhood that Spinoni enjoy in the UK. 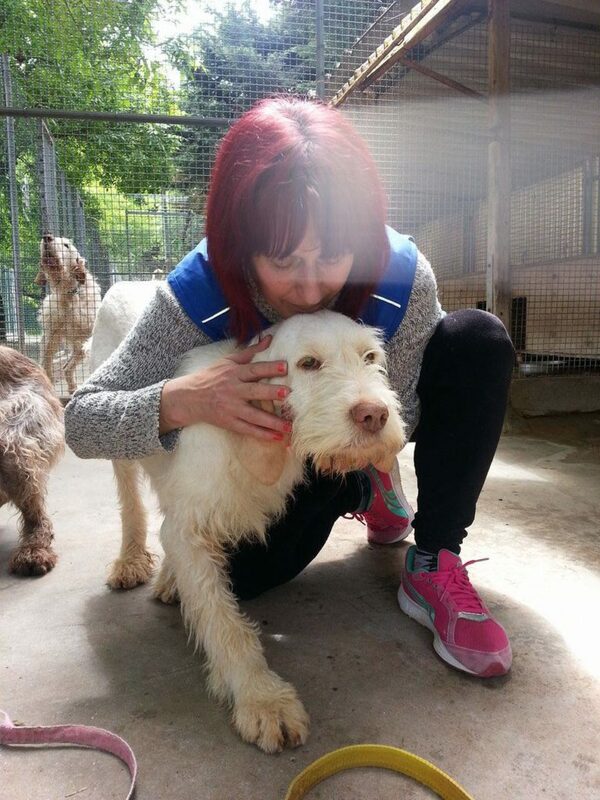 Most will be kept in large groups in kennels and may not have spent a great deal of quality time with humans. They are likely to have not known much love and care for before so you will be teaching these beautiful dogs a very new and valuable lesson. We try to get as accurate an assessment of the dog’s character and needs in order to find a home that will be a good fit, before they travel, and what we do know will have been discussed with you. However sometimes this is just not possible, and they do all react differently. A flexible approach is important, working with what the dog is comfortable with. All dogs are different and we will discuss any specific issues with you prior to your commitment. Some are from a home environment but even for these better-adjusted dogs, the journey and frequent changes in routine are likely to be stressful for them, so it is best to go slowly with them. The majority have never lived indoors so everything is new for them. They often embrace their home comforts quickly, but it’s important not to expect too much too soon. More traumatised or abused dogs need much more care and more time to adjust. For a dog that’s always lived outside, in many ways it is not unlike having a puppy – they have to learn everything from scratch. They often have no sense of boundaries about your food, counter surfing, chewing etc. Former street dogs, particularly, can need to have food and bins very firmly closed away. Toilet training generally has to be started from the beginning – however, most learn very fast when there is another dog to copy. A crate at night can be useful for this. In general, a crate can often be very useful for a rescue dog, providing a safe space for retreat should the dog need it. A blanket on top can be useful to create an enclosed den. If you don’t want to use a crate, give thought to where the dog’s personal safe space will be. The first few weeks can be very overwhelming for a recently rescued dog and they can really need their down-time. Please do try to clear your schedule for as much time as possible when welcoming a new dog into your family. Make sure any visitors to the house are aware that a potentially nervous rescue has arrived – dogs have escaped this way when doors are left open by arriving visitors. Remember that your new arrival will need to be gradually accustomed to an entirely new routine and environment. Plan on allowing some time to let them settle. We recommend that a dog is left unsupervised as little as possible during the first week or so. Teaching them to settle quietly in a crate can be a big plus, as they are unlikely to have been left in a house before, and will need to have this introduced over time, starting with short periods and working up to longer ones. A webcam or an old iPhone with an app like Dogmonitor can be useful to keep an eye on the dog. Consider what other parts of your daily routine or lifestyle may need careful introduction – for instance busy streets, horses, boats, cars, train travel, umbrellas, binmen, washing machines, vacuum cleaners, family visits….everywhere and everyone is different and needs careful consideration to smooth the dog’s transition to its happy new life. Remember they cannot understand that things are going to be better now and need lots of reassurance and routine to settle. Remember also they have obviously spent a lifetime understanding Italian so language is an issue. Even if they have been working dogs, they will not understand commands in English…and if they have been street dogs they will not understand commands at all. Culturally there are huge adjustments for the dog. If they have had some training you can try Italian commands, transitioning them to English in time. Your dog’s chip will be listed on its passport. It should be registered as an imported dog as soon as possible. This will help should it escape but is also a legal requirement now and is often overlooked with rescue dogs. For the UK, this can be done at Petlog (entirely online service) or Identibase, where you can download, complete and return a foreign chip registration form along with a copy of your pet’s passport (the page with the microchip number and pets details). 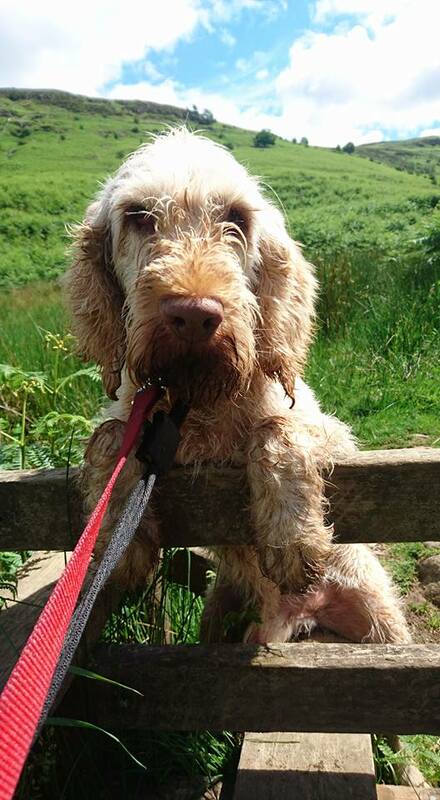 Do not let your dog off the lead until this process is completed! If they run away, it is very difficult to trace a chip that is registered in another country – it can take weeks or even prove impossible. We highly recommend that you pre-register your new dog at www.doglost.co.uk. Escapes during the first few weeks are not uncommon, with a nervous dog that is not yet orientated to its new surroundings. It takes precious time in an emergency situation to get to a computer, find a clear photo, find chip details etc and register a dog – time that could be vital. Once a dog is registered and on their system, it can be broadcast as an alert to local networks in a matter of minutes, via phone call if needed. When trawling all the insurance companies please also input the value of your dog as nil, this makes a huge difference to premiums and as they will all be neutered and imported rescues, this may save you money and will keep the position clear in the event of a claim. Collection and the first weeks are a very high risk time for a dog to be lost. The journey will have been stressful for them and it is vital to be very alert at this time. Having been kept in kennels, the sound of normal everyday life can often upset these dogs, causing them to panic. In time, your dog will need training and introducing to whatever collar and lead combination you prefer. 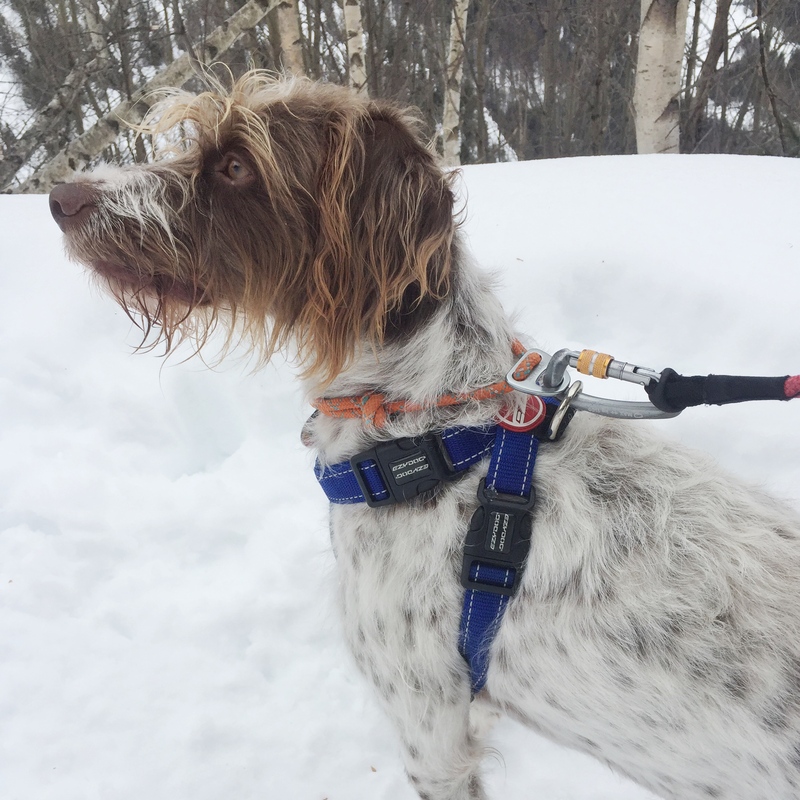 But for handover and the first few weeks, a secure harness is better, or kennels often use slip leads as they are easier to put on a nervous dog – whichever you are more comfortable with. For potential AHPA inspection, the dog must remain on your premises for 48 hours after arrival – so garden walks only. The AHPA inspect around 50% of new arrivals, and they will call first if they intend to do this. It is just to check paperwork. – or a collar and lead plus a secure harness that the dog cannot get out of, such as the Ruffwear Webmaster. You may have another combination that you prefer…the main thing is that a single collar and lead is not enough – it can be slipped too easily. You need at least two points of attachment. A coupler or double ended lead can also be a useful option. 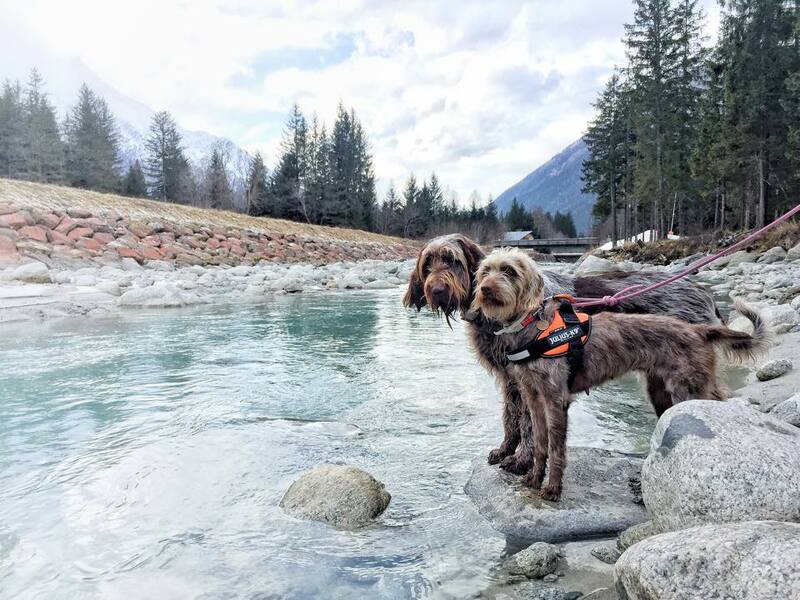 Prior to collection, we recommend that you ensure you are familiar with the harness and lead combination you have chosen – check it on another dog, for instance. Put your phone number on the dog’s harness and use a nametag on the collar. This should be continued for the first three weeks at least to ensure your dog does not slip its collar and run away. Check harness buckles and materials, collar fastenings and lead clips very carefully, to make sure they are strong, in good working order, and cannot accidentally be undone. Please think very carefully about your daily routine and how to keep the dog secure at all times. Check your garden (and any other areas where the dog is loose) very thoroughly for possible escape routes. There have been numerous escapes of SOFA rescues in the first weeks, from extremely experienced owners – it is so easily done. All have returned safely but it these were very stressful times for all involved, not least the dogs. Lola on her long line, with a light carabiner passing through both collar (with name tag) and harness (with number written inside). 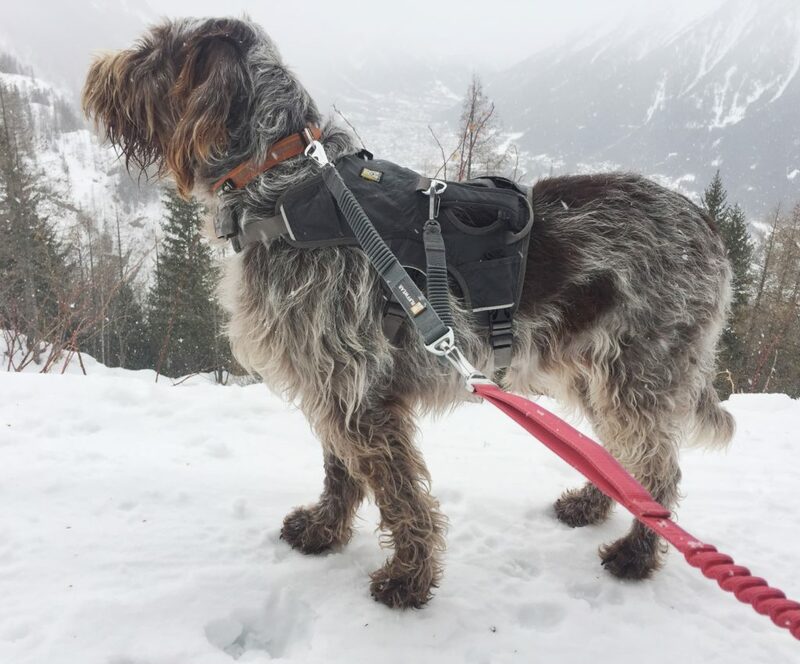 A secure harness and long lunge line are ideal for a dog to progress to, and as Isotta shows here, they need not hinder the dog’s enjoyment of life much! 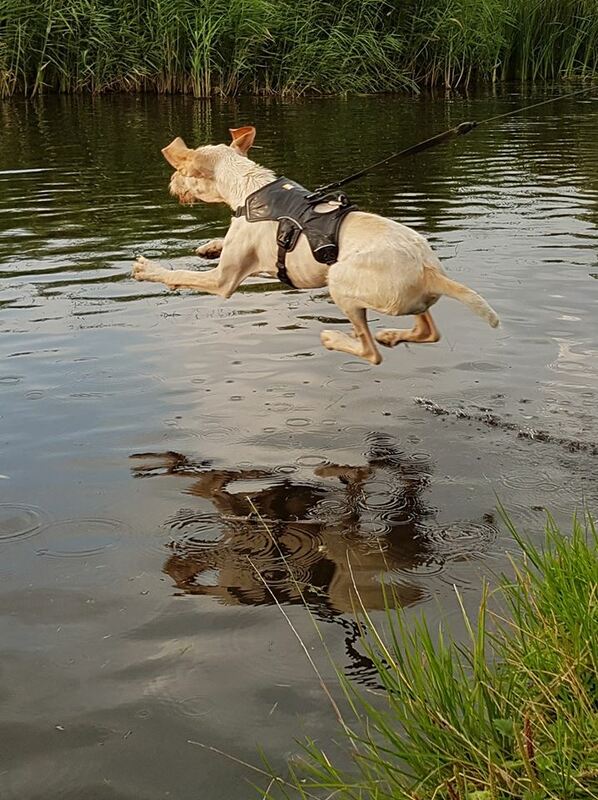 Safely held with a Ruffwear Webmaster harness, Isotta makes a dive! The dog should stay on the lead for at least 3 weeks, and must not be let off until they will reliably return to you on walks. Just as you would with a puppy, start in the house and garden, and work up to outdoors on a long line. You can also consider progressing to letting the long line trail, so the dog has extra freedom but is easier to catch in case of any issues – however consider carefully where you do this, as there are safety issues with the trailing line. It is most useful in a wide unobstructed space, like a park or beach. A highly recommended intermediate step is to book some time at an enclosed dog field. These are to be found all over the UK – research your nearest one at https://www.dogwalkingfields.co.uk. A few sessions at one of these fields will give you a much better idea of your dog’s reliability at recall. Consider a GPS tracking device as a backup. Or a small bell makes a low-cost and useful alternative or addition. 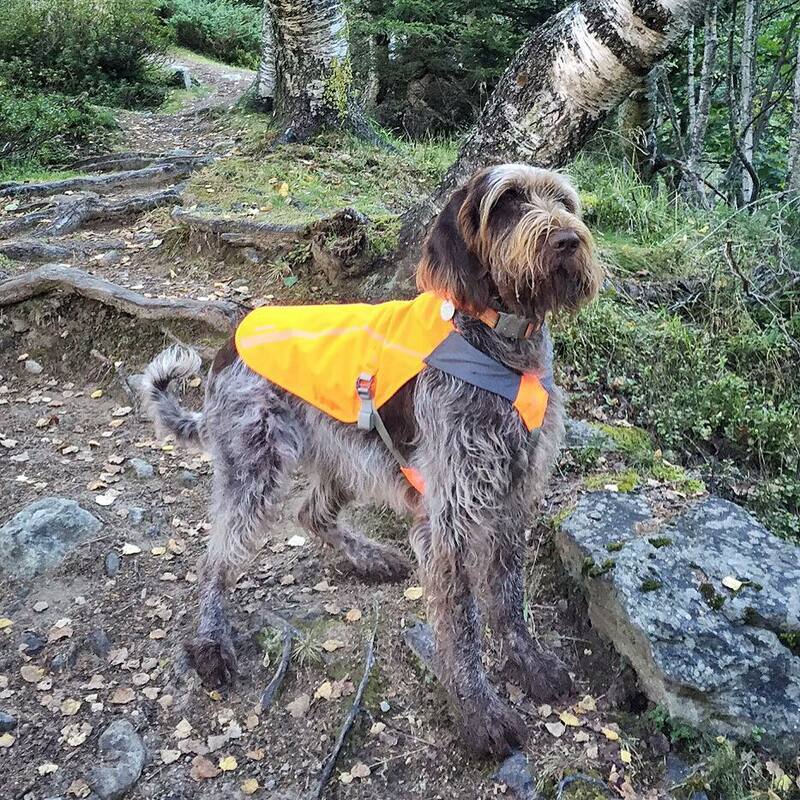 A brightly coloured jacket is also a help in locating a dog, and can be a good idea during the first few months off the lead. Remember that the risk of a newly adopted dog being startled and running away is high. You must be confident that the dog will return before letting them go free. 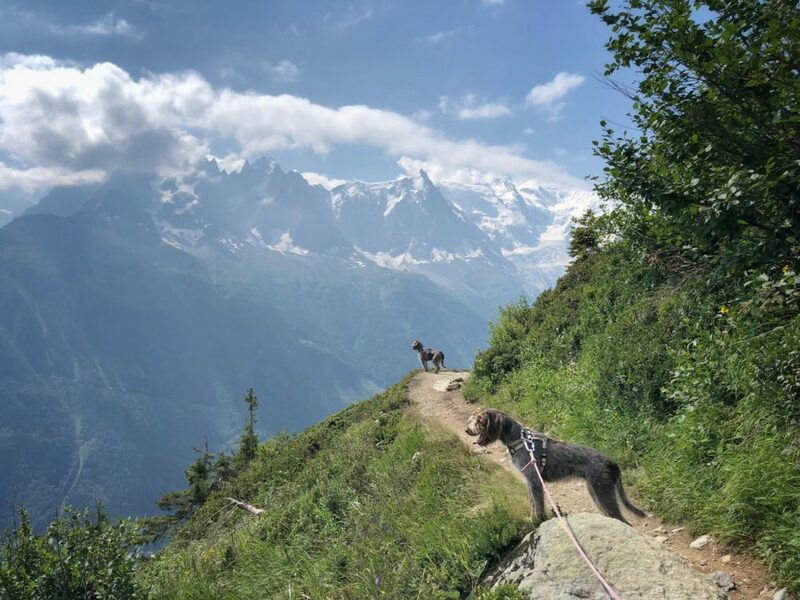 Although most dogs do eventually progress to going off the lead, some very nervous or highly nose-led dogs may always have to be on a long line. It is better to wait longer and be safe, than to risk losing your dog. It is worth the wait to see them finally running free. If at all possible, it’s good to discuss the newcomer with your vet before their arrival, in case of anything they may have concerns about. After arrival, we recommend a check-up a with your vet. Unless there is a pressing reason to do so, this is best done after the dog has settled in, and ideally it should not be their first trip in the car. It’s something to take at the pace of each dog. 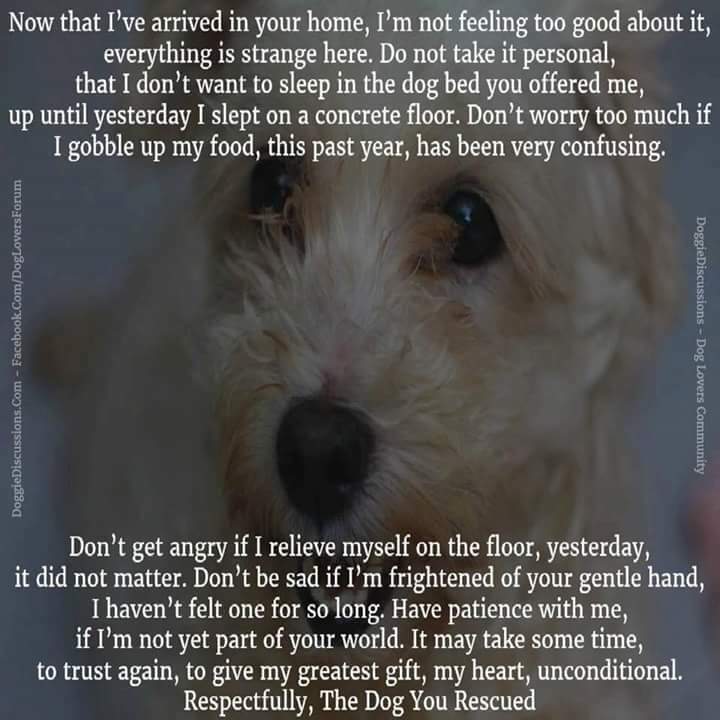 Before they go to the vets, they should be reasonably comfortable with new people touching them, being on a table, visiting new places on a lead etc. If they are nervous, it can be a good idea to take them to visit the vet’s anyway, for instance on the way to a walk. Just to go into the waiting room, have some treats and leave. For some very nervous dogs, it may be much better to arrange a home visit – most vets are very understanding about nervous rescues. In general we would advise that they see a vet during the first month but each dog is different – we are always available to help and support where needed in individual situations. A course of flea, tick and lice treatment is advised, paying particular attention to ears! They will have been treated for fleas prior to departure but can very often need a second treatment. Many rescue dogs have bad teeth so these should also be checked over and may need descaling. Consider delaying any stressful procedures such as dentistry until the dog is really settled in. 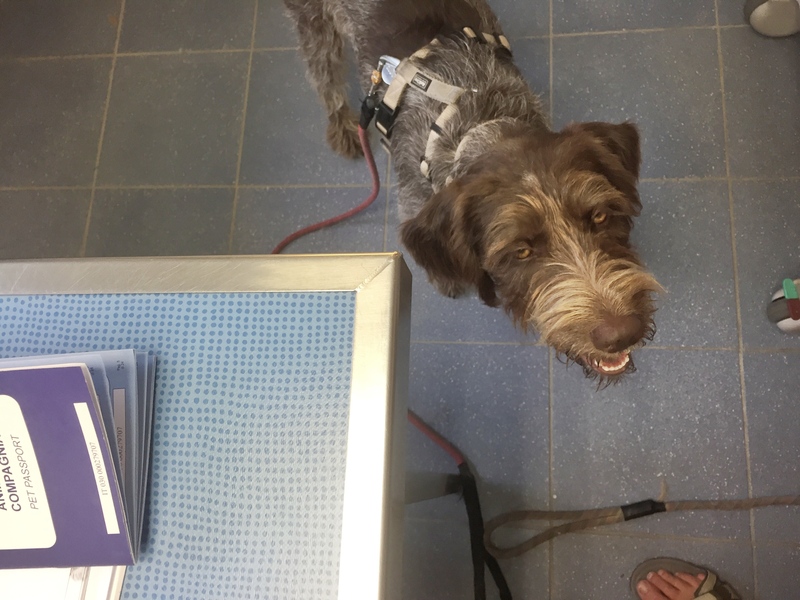 Your dog’s medical info will arrive with it, including tests for Leishmania etc, which will be useful for the vet to see. Please check passports over with your vet, many dogs only have rabies, worms and flea treatment. They may need to have their immunity started again from puppy level through to adult. Also note that Italian rabies vaccinations are generally valid for one year only, rather than the UK one which lasts for three years. Take all the paperwork to your vet for them to see and advise. Your new spinone has been moved multiple times in recent months. The dogs may also have been neutered in the last few weeks. At the very least had a long journey in strange new surroundings with vet preparation first, so they have been prodded, poked and pulled about never knowing that what is happening is for their own good. Giving your new charge room in the house to explore properly and to find a place where they feel safe pays dividends in the coming weeks. I have also found that sitting with a nervous dog in this safe place and stroking them softly starts the bonding and enables you to check their coat, paws and their general condition. I have spent many happy hours chatting and stroking my girl while sitting at the top of the stairs. Every dog is different and by observing them, you will see where they are happy and relaxed. They then start to relax and breathe in their new life. Standing in front of the dog, pulling on the collar, picking up and standing over the dog can make a dog feel even more uncomfortable and unsafe. 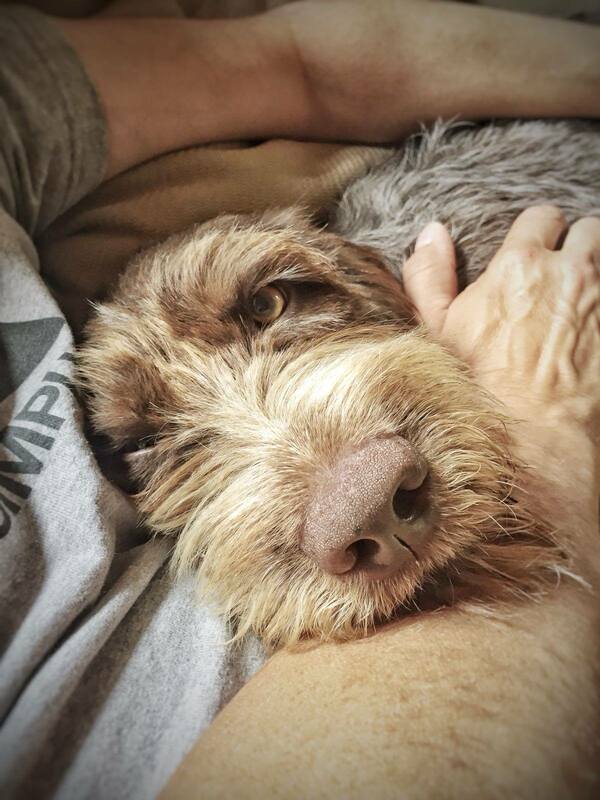 Even too much touching and cuddling can be overwhelming for a dog that’s unused to it. Let the dog come to you, and allow it to set its own pace. Getting down to the dog’s level and being still, so that he or she can approach you, is a better idea. You can help the dog by being relaxed and calm yourself. And by not letting your dog do too much too quickly. It is often tempting, when a dog has just arrived, to do long walks, visit family and friends, go to the beach in the car. It can be better to give them rest and peace. Not only the first day, but also the next weeks, months, maybe even sometimes years. Make sure that the stimuli that your dog receives are as small as possible. So, start with time just in the garden at first. Then walking short distances and then go back home. Little by little, baby steps, listen to what the dog is telling you. Try and establish a routine as soon as possible. When everything has changed so much, stability in their lives is a huge help. Be prepared that the dog can get flashbacks over time. Stress panting is not uncommon, especially at night. Sitting with a nervous dog in his/her safe place, speak softly to the dog and stroking the dog softly strengthens the bonding. The dog then starts to relax and breathe in his/her new life. Sveva begins to relax and ask for cuddles. Plan the best way to introduce the new dog to the house. If you have a dog already, make sure it doesn’t lose out with the new family member, which can create resentment. Make sure that the dogs are a positive experience for each other. It is not uncommon for recently arrived rescues to be very stressed and this can result in some out-of-character aggressive behaviour through their fear. Keep calm, soothe the dogs and work on small, positive experiences together. Give them space to move around each other – body language is very important for dogs. A long lead can be a helpful extra safety measure sometimes. A dog with a trailing lead must be fully supervised. On arrival they are likely to be hungry. They will not have had a large meal en route as we do not want them to be sick or have the runs. We suggest a light meal of a little chicken and rice to start with, as this is generally easily digested. Feed little and often to start with, and then mix the chicken and rice in with the regular food you plan to feed them on, and build to to the normal feeding routine over 2 – 3 days. Small meals more frequently also encourages bonding, training and highlights quickly anything that does not agree with your dog! A Kong filled with food and then frozen can be a good way to settle a nervous dog. Resource guarding can be an issue with dogs who have always had very little, this should be worked on in a positive way. There are some good suggestions here. 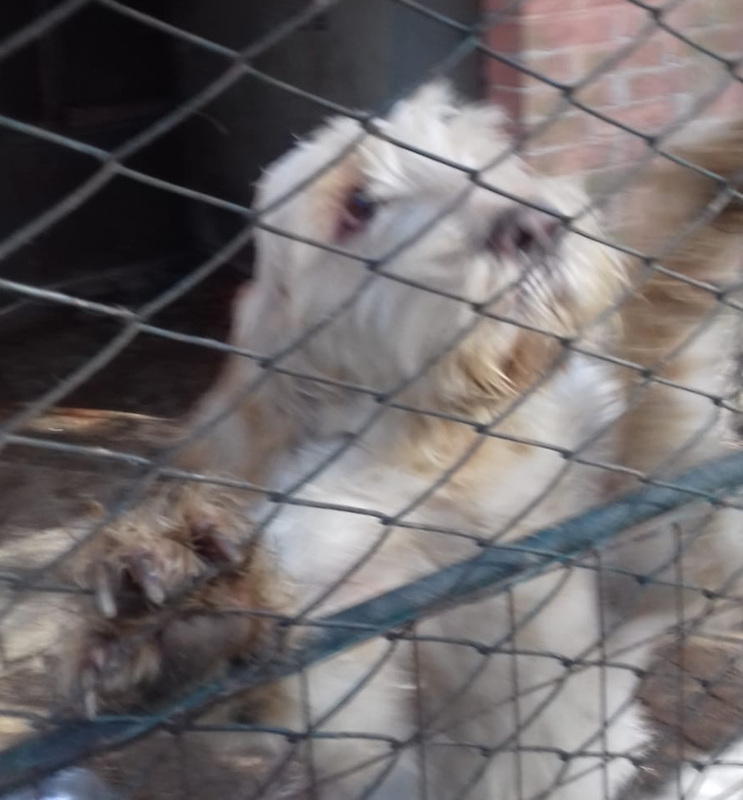 We very much appreciate photos and videos that we can send to the volunteers in Italy – it is a big step in trust for them to let the dogs go so far. One of our biggest issues is persuading the volunteers to let the dogs leave the country. Normally in Italy, dogs are only rehomed to the immediate vicinity of a refuge, so that the volunteers can check how they are settling. 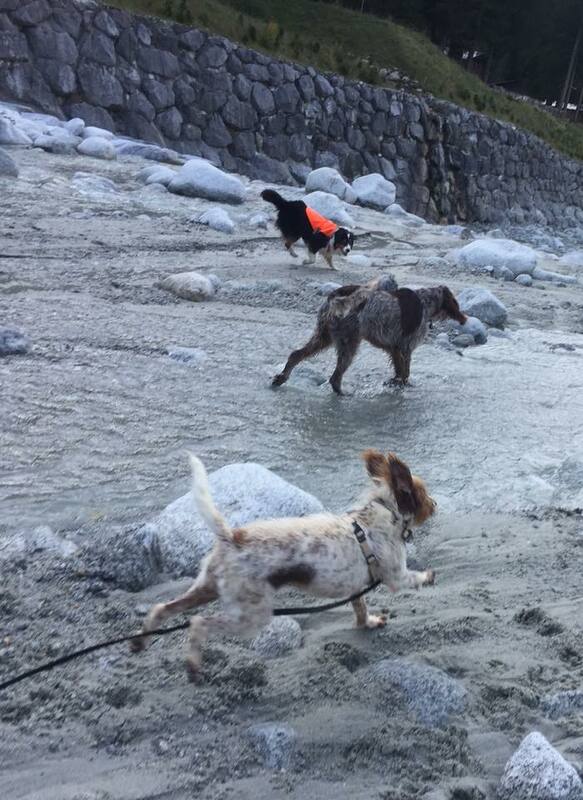 So it’s a huge help to us in building connections and trust with the volunteers (without whom our work would be impossible) if we can show them the happy lives the dogs are leading! 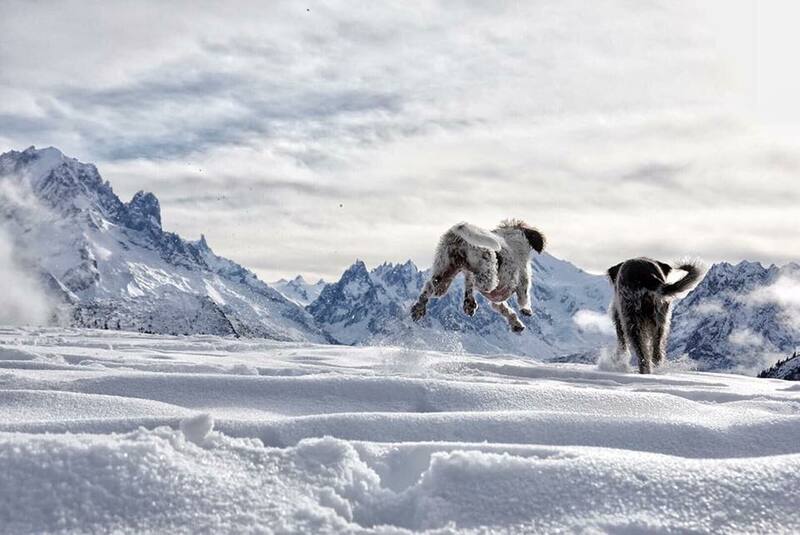 Your photos help to build a good reputation for us – keeping the road to freedom clear for the next dogs to take it. 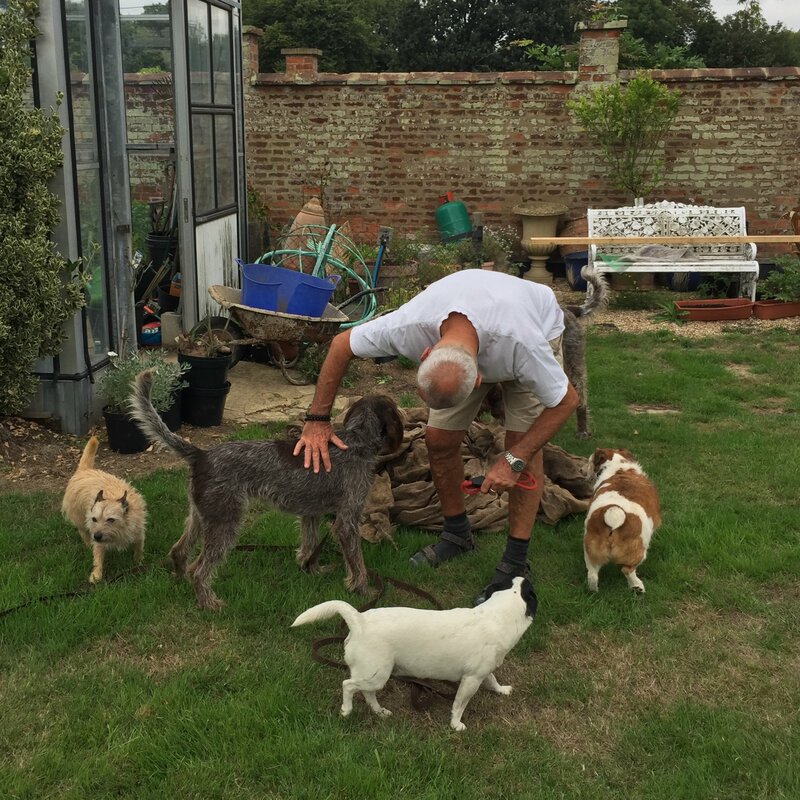 And of course the volunteers have often become very fond of the dogs in their care, and love to get news of them – as do all those who helped fund them and supported in other ways. 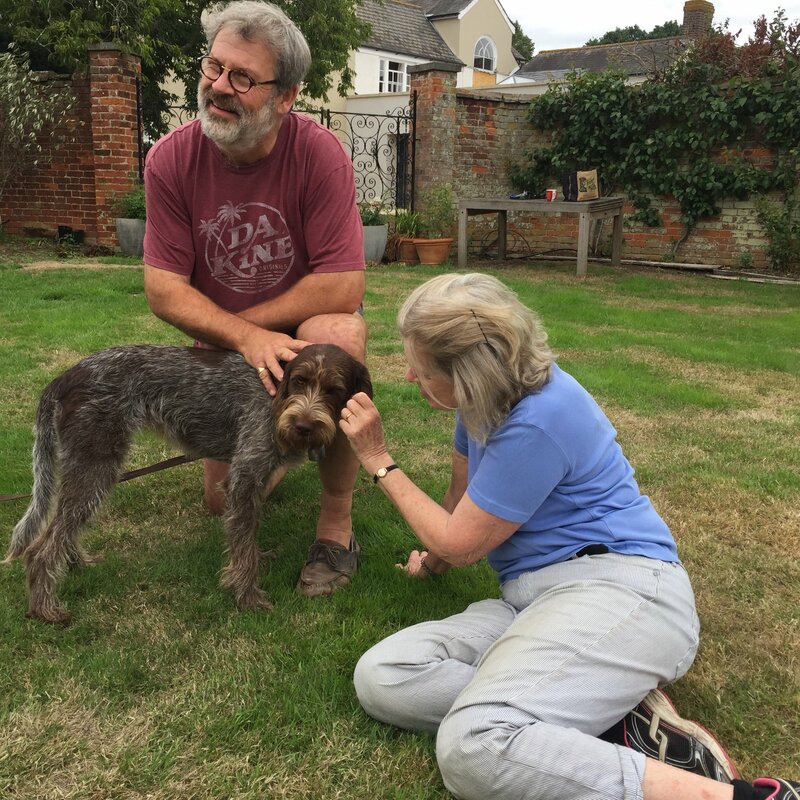 We also like to do a follow-up visit where possible after a few months – it’s very rewarding for the home checker to see how well the dog has settled! Finally, spend the time to sit and enjoy your beautiful spinone , the knowledge of its life to date is sealed in its heart – their gift, their life they bring to you – treasure it, it will enrich your life and heart for the rest of your days. Please know that you will always find a listening ear and advice to guide you every step of the way in this group should you ever need one.